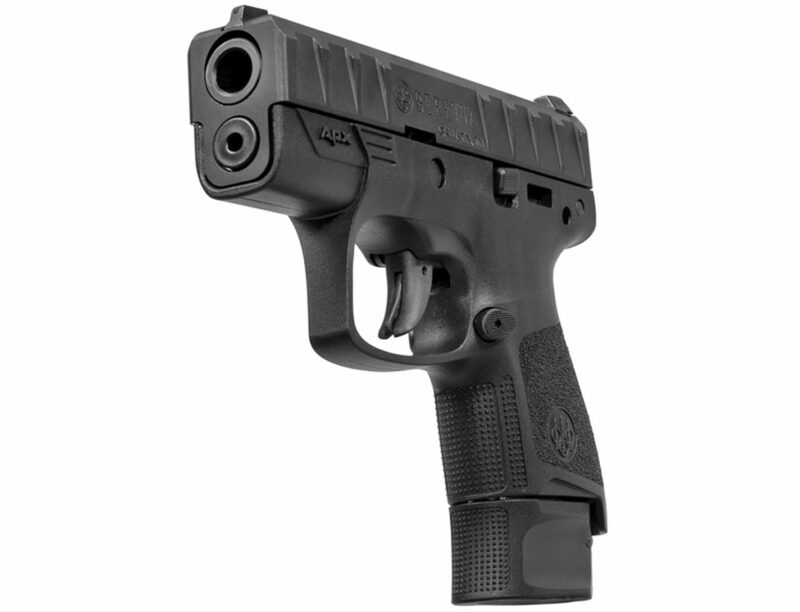 The new APX Carry is a 9mm sub-compact, overlaid with the APX full-size here. At just 0.9″ inches wide by 5.63″ tall, the 19.8 oz APX Carry is pretty manageable. Beretta points out that it’s ideal to use a carry pistol that is similar to your service pistol so that the muscle memory to work it carries over. The APX Carry has the same chunky, easily manipulated slide serrations as the full size and compact APXs, and a similarly placed slide lock. 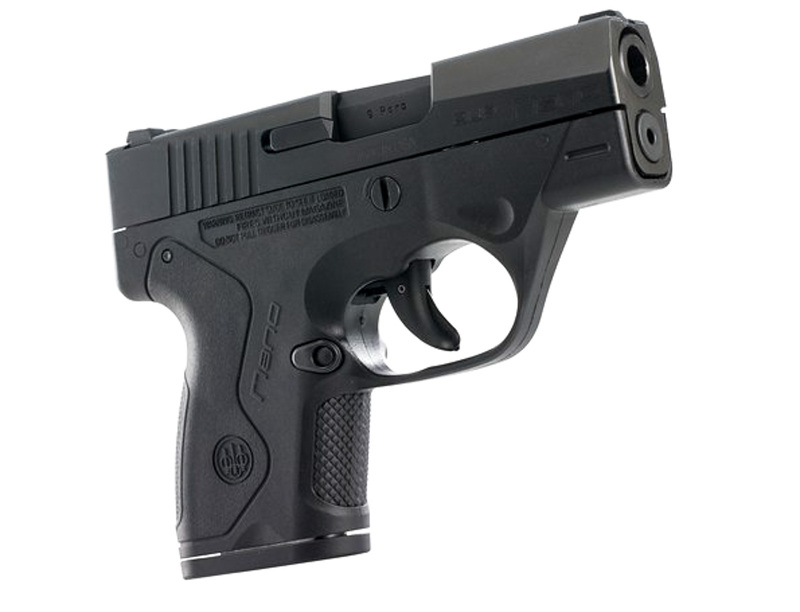 This striker-fired sub-compact has the same look and feel as the full-size and compact versions, including the positive slide serrations. The grip frame is easily changed independent of the chassis (which is the serial number-stamped piece). 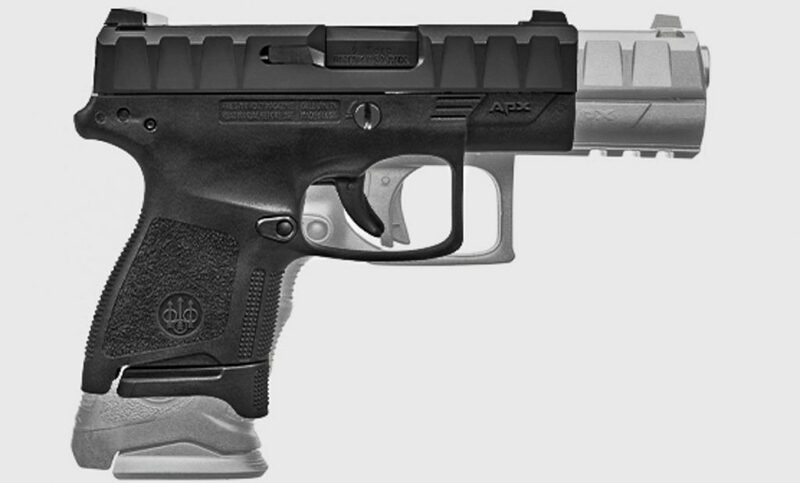 Interestingly, the APX Carry looks a whole lot like the company’s BU9 Nano. The grip frame pins are in the same places and the dimensions are the same, too. Even the mags look very similar in the photos. It makes you wonder if the primary differences are cosmetic. We’ll have more details for you after we get our hands on it at the NRA Annual Meeting. The Beretta BU9 Nano looks like it has the same grip frame-to-chassis pinout and the photos look like the same magazine as the APX Carry. the two also have the same dimensions. 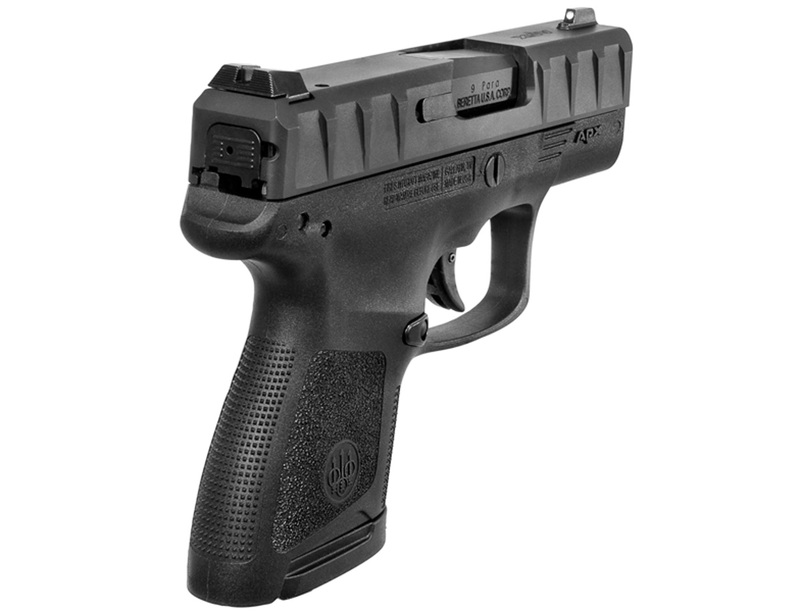 The APX Carry comes with two mags, 6- and 8-round capacity. The 8-round extension is pictured here. 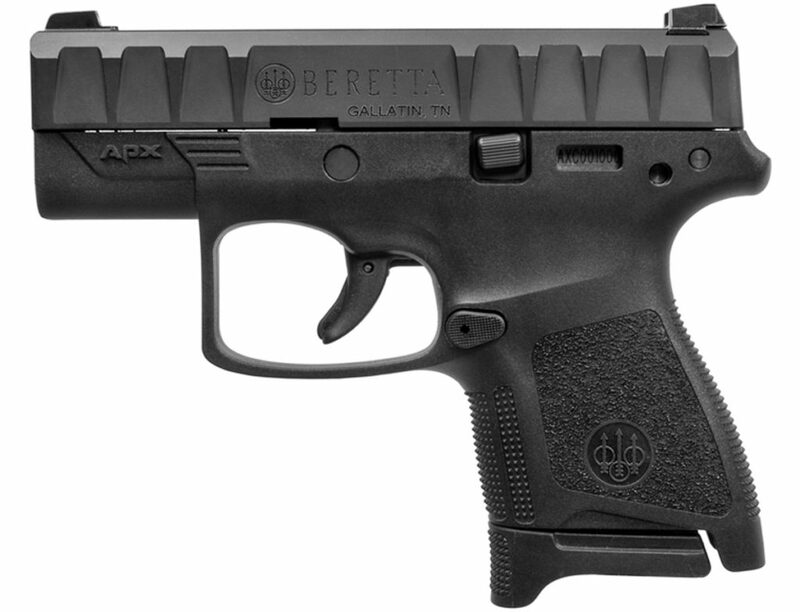 The APX’s low bore is supposed to reduce felt recoil and keep the gun on target. Next post: Get a Mini Shooter: Check Out These Mini Mosin-Nagants! Why can’t Beretta figure out the striker fired market? Maybe in 40 or 45 but not in 9mm.